Allow the modern design of our Amish Gateway Platform Bed to complete your bedroom suite with added style and decor that can be enjoyed for many years! This solid wood platform bed is available to you in 10 different hardwoods and a variety of finishes. 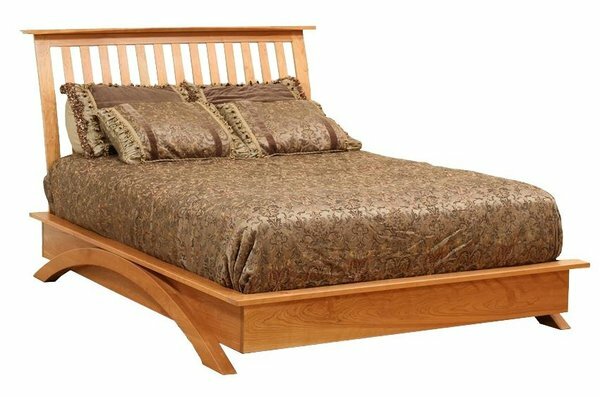 Our Amish woodworkers will do their absolute best to handcraft this wooden platform bed to last for a lifetime and provide you with countless nights of sound sleep. If you would like assistance with the ordering process or if you have any questions, please give us a call at 866-272-6773. Our Amish Furniture Specialists will be happy to help you out with whatever you need. Floor to Bottom of Slats: 10 1/4"
Floor to Top of Platform: 11 3/4"